Your project gets full attention from initial quoting to delivery. Each customer is assigned an Account Manager who ensures smooth sailing through the manufacturing process. For Purchasing Agents/Buyers, this means we can relieve a lot of the common stress associated with product production. Our friendly staff have years of experience, working directly with our machinists, inspectors and shipping staff in order to assure quality standards are met and parts are delivered ready to be assembled into your products. The Account Managers at J.R. Technology simplify the production process by overseeing each project as it progresses from print to finished product, minimizing the work effort put forth by Purchasing Agents/Buyers navigating through the vast amount of vendors and suppliers. CNC Lathe/ Turning: Micro-Miniature to 4” max on bar feed, 8” on Chucker work. CNC Milling: 20” x 40” bed size. 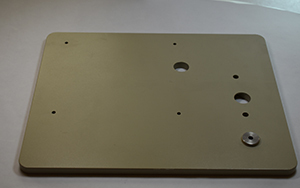 We offer large scale machine part production while adhering to our strict in house quality control and inspection standards . – Maintain high finishes even when there is no print call out. 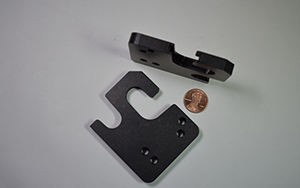 -We inspect parts throughout production using a variety of tools such as calipers, plug and ring gauges to make sure each part is made to print. Parts also go through a final inspection upon a projects completion. 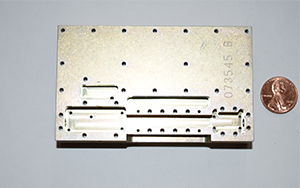 -Each part is made to print, with each batch periodically checked throughout production in order to maintain accuracy. 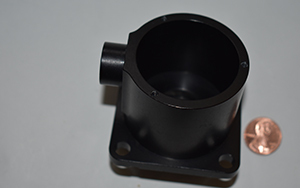 Upon completion, parts are deburred and inspected before delivery. High Precision and Miniature, Standard and Special Screws, Micro-Miniatures, Pins, Standoffs, Fittings, Plates, Bolts, Adapters, Bushings, Fitting and Mounting Assemblies, Nuts, Rings, Discs, Dials, Carriers, Buttons, Washers, Valves, Housings, Knobs, Hubs, Instrument/Gage components, Clips, Brackets, Couplings, Musical Instrument Components and other custom/specialty parts. 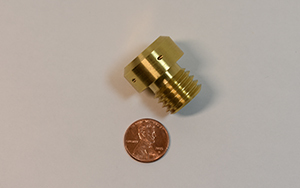 Medical and Dental, Farming and Agricultural Equipment, Optical, Miniatures, Aerospace/Aircraft, Gas & Oil, Mining, Boat/Vessel/Ship/Watercraft, Transportation Equipment, Automotive Aftermarket, Recreational Vehicle RV, Defense, Musical Equipment, Alternative/ Renewable Energy, Industrial Equipment, Switch, Connector & other Wiring Devices, Lighting, Inspection & Monitoring, Scientific & Technical Instruments, Construction Equipment & Machinery, Metal Valve & Pipe fitting, HVAC Equipment, General Machinery, Semiconductor Equipment. 718 COLO R. A-28, 5737 AGED K-500 SOL & AGED NICKEL 200 ANN WASPALOV C.R.